Copper Tooling has become a favorite medium that I bring back every year due to popular demand. Although the same techniques are employed, I always change the project theme to keep things interesting. In past years we explored abstract designs with colorful borders, and Hawaii’s endangered species. This year’s theme involved exotic animals from lands far away. This art teacher believes in research and planning before launching in to any major project, and copper repousse is no different. We spent two full lab days exploring various animals, sketching ideas, and taking notes on common names, species, habitat, and interesting facts. Once a basic contour of the exotic animal face was established, students filled it in with designs and textures. For ideas I had them enter “zentangle animals” into their search browser. Stylizing the frontal image and adding additional texture to the face resulted in a much more complex and interesting design. A final drawing on paper followed the sketchbook planning activities. This drawing was transferred directly onto the copper foil, leaving a slightly indented image. The longest and most labor-intensive part of this project involved tooling and chasing techniques to create a 3-dimensional relief using wooden tools to rub and stretch the copper. Final steps included antiquing the copper with liver of sulfur, polishing with steel wool, and protecting with a high gloss acrylic varnish. For display, students used colored pencils on black railroad board to finish the composition with a creative border. Hello there!! 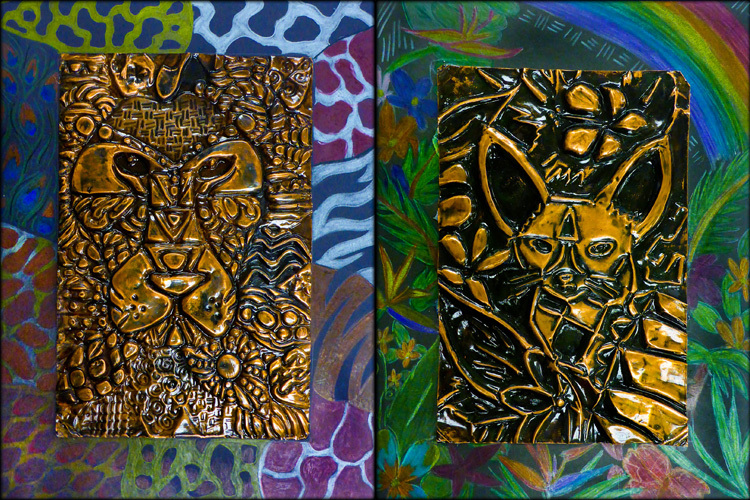 I had a question about the beautiful exotic animal study on copper plates you blogged about. I was wondering where you purchased the places and exactly what kinds of tools you used to manipulate the metal. I am a new teacher and hope to work this beautiful project into my curriculum. I purchased the copper foil, wooden tools, and liver of sulfur from Blick. You might also try Sax and compare prices. You can get pretty creative with the wooden tools without having to purchase anything expensive. We use wooden dowels (sharpened with a pencil sharpener), popsicle sticks, and wooden clay tools as well. I buy the copper in rolls and cut it to size with a paper cutter. (This probably isn’t the best thing for my paper cutter blade, but it’s very efficient). Good luck with your project… this is a good one and the kids will love it! This project is absolutely beautiful. I have done copper repousse with students in the past, but I have never heard of this method of antiquing using liver of sulphur. Would you be able to explain how you did this? Do you just paint it on with a paintbrush? Do you allow the kids to do it or do you do it? Is it toxic? Is it safe for the classroom and the kids? Wow! I love this project! The stylized animals look fantastic and the student must really like the results! Great project! I like how this project looks cool and I would like to try it out for myself some time this year. This looks really cool. I hope Miss Sanderl teaches us how to do this. This artwork is cool because of the texture and color of the animals and I wonder how you make them. Do you dent it to look like an animal? Its shiny, and shiny is good and cool-looking plus it shows all types of animals like lions, sharks, and turtles. This year it would be cool if we could make cats out of Acrylic paint and make them have all types of colors so it is a calico cat. I chose this subject because I have a cat that has a bunch of colors and calico cats have all types of patterns. It would be cool because we can have a rainbow patterned cat or a cat made out of a chess board. I am looking forward for what we are going to do this year in the 8th grade! 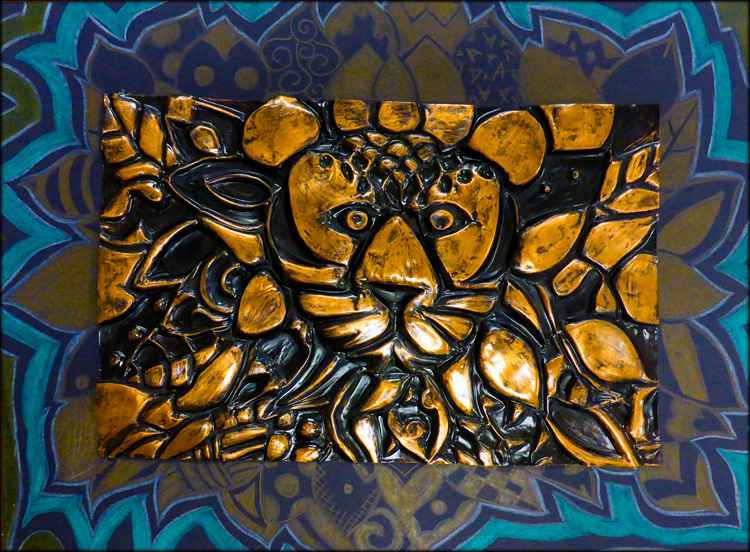 This project is so interesting because I have never worked on an art project with copper. And they’re just so nice and they look absolutely fun to make. Something that I would like to learn in this class would be how to become better at drawing. I have been very interested in these beautiful pieces of copper art work. It would be very exciting to be able to do the “Exotic Animals” and working with copper would be a very interesting lesson. I would also like to learn how to draw faces. I really like this art work and it really looks interesting. I hope we do something with copper this year, maybe with a different theme!!! This project is so amazing! I never did anything like this before and I really would like to do this as a project this year in Art. It looks really fun! I like the copper art because it’s awesome and it’s really cool how they created designs in metal. I am in Mrs. Sanderl’s period 6 class, and I think that we should learn how to make a cup out of clay and make it like a monster cup. This is really cool! I always wondered what students used to make these animals, but now I know! I’m really interested in drawing animals and using new mediums in art, so this is something I’d like to learn this year. 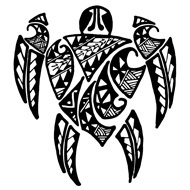 I like how there are a lot of shapes and detail within the design of the animal. I would like to do the copper project this year. Maybe a suggestions would be making something interesting like a plant or animal. I like this project because the color and the texture looks so fun and cool. I also want to do a project like this in Art this year because I have never made art with copper! I think this project cool and different and I never did this before. I want to learn about this in class cause it is cool. I found this project interesting because my brother once did a similar project and it looked like he had a lot of fun. I also found it interesting that this project was made out of copper. Copper art isn’t something I see everyday. This year I would like to learn how to do something similar to this because I find it very interesting. The thought of using copper for an art project sounds like a lot of fun.